Sharon Kangisser Cohen is the Director of the Director of the Diane and Eli Zborowski Centre for the Study of the Holocaust and Its Aftermath and the Deportation Project at the The International Institute for Holocaust Research, Yad Vashem. She is, in addition, a lecturer at Haifa University and the Rothberg School for international students at the Hebrew University of Jerusalem. Her most recent book, Testimony and Time: Survivors of the Holocaust Remember, was published in 2015 by Yad Vashem. Eva Fogelman is the co-director of the International Study of Organized Persecution of Children and the founding co-director of Generations of the Holocaust and Related Traumas. She is the author of the Pulitzer Prize–nominated Conscience and Courage: Rescuers of Jews during the Holocaust and writer and co-producer of the award-winning documentary Breaking the Silence: The Generation after the Holocaust. Dalia Ofer is the Max and Rita Haber Professor Emerita of Holocaust and East European Studies at the Hebrew University of Jerusalem. Her book Escaping the Holocaust: Illegal Immigration to the Land of Israel (Oxford, 1992) received the Ben Zvi award and the National Jewish Book Award. 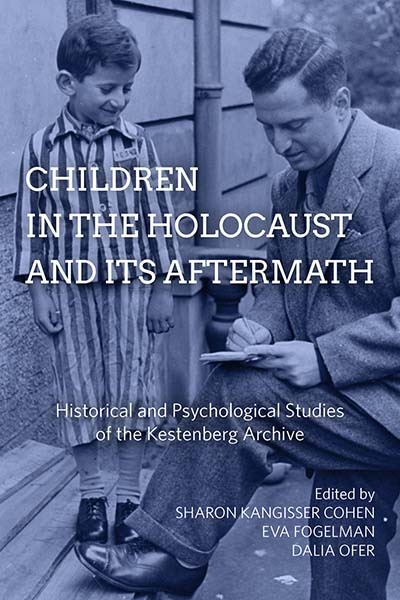 She is the co-editor of Holocaust Survivors: Resettlement, Memories, Identities (Berghahn, 2012) and the editor of Israel in the Eyes of the Survivors (Yad Vashem, 2014). Her most recent work is The Clandestine History of the Kovno Jewish Ghetto Police (Yad Vahsem, 2016).